Reference Room is a resource guide for our customers and friends that provides education, instructions and useful tools on topics such as crime prevention and awareness, fire prevention and awareness, security system how-to's, product and service profiles, Security Newsline newsletter archives, and more. 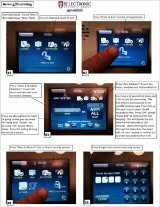 Choose the security system keypad/touchpad instructions below to view and/or print for your reference. This is a tutorial video for downloading and understanding your camera system phone app. For your convenience we can automatically bill a credit card for your Interactive Control and 24 hr. Monitoring monthly payment. 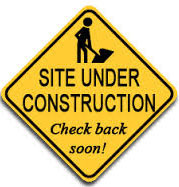 If you would like to set up credit card auto-pay just fill out the form but do not enter your credit card information. 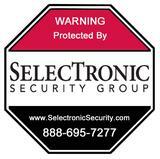 For security purposes we will contact you via phone for that information and enter into our secure bank server. This submitted form authorizes us to charge your bill directly to the credit card that will be provided to us when we call you. Auto-pay will be transacted on the 5th of each month. This authorization is valid until you provide us with written cancellation. 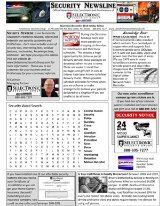 Below you will find an archive of our original bi-monthly newsletter entitled "Security NewsLine" which was designed to educate, inform and entertain our customers and Pro-partners. Each of the past issues includes a mix of security tips, interesting facts, product features, testimonies, knowledge base, and more. Our first edition was November/December 2014. Interactive technology is the term given to one of the newest waves of security technology that enables you to control and "interact" with your security system and/or surveillance camera system. As long as you have cellular and/or internet access you can communicate with your security system and your camera surveillance system. 3-Receive text or email alerts for pre-determined/chosen activities of the security system such as, when and who armed or disarmed the system, when an alarm occurs with what type of alarm(burglary, fire, panic, medical, etc. ), if power is interrupted to the premesis as well as when it is restored, if a door is left open for a specific period of time, etc. 4-Make changes to the account such as changing or adding codes, deleting users, etc. Camera Surveillance Systems: Most professionally installed surveillance systems are designed so that cameras are mounted to view the areas of concern or interest and connected back to a Digital Video Recorder(DVR) or Network Video Recorder(NVR). 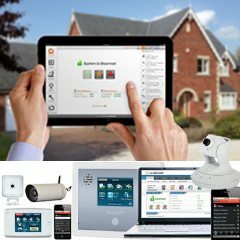 Most manufacturers provide an Ap that can be downloaded on a Smart Phone and/or Tablet which, when configured to the DVR/NVR and local internet router by the security provider enables the user to access the DVR/NVR and "interact" remotely and control the viewing of the installed cameras. Any computer with internet connection also enables the user to access and interact with the DVR/NVR through a webserver. Don't hesitate to contact us with any of your questions regarding "interactive technology" relative to our affordable security systems or camera surveillance systems. Fire safety, fire awareness and fire prevention are topics that should be incorporated into every relative curriculum for educating all ages. Awareness first starts in the home and with the parents but if the parents aren't informed then their children will be uninformed. Below you will find a number of links relative to fire safety and awareness that can be used to make your home and family more secure.